Each episode features a number of intertwined storylines, some of which are resolved within the episode, with others developing over a number of episodes throughout a season. Much play is made of the conflicts between the work lives and private lives of the individual characters. In the workplace, there is also a strong focus on the struggle between doing "what is right" and "what works" in situations. The camera is held close in and action cut rapidly between stories, and there is much use of overheard or off-screen dialogue, giving a "documentary" feel to the action. Rather than studio (floor) cameras, hand-held Arriflexes are used to add to the "documentary" feel. The show deals with real-life issues, and uses commonly used language and slang to a much greater extent than had been seen before. Almost every episode begins with a pre-credit sequence consisting of (mission) briefing and roll call at the beginning of the day shift. Many episodes are written to take place over the course of a single day, a concept later used in the NBC series, L.A. Law. 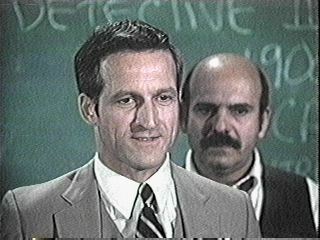 Most episodes concluded with Captain Frank Furillo and public defender Joyce Davenport in a domestic situation, often in bed, discussing how their respective days went. Hill Street Blues cast, circa 1986 Although filmed in Los Angeles (both on location and at CBS Studio Center in Studio City), the series is set in a generic unnamed inner-city location with a feel of a Northern United States Chicago-esque urban center. The program's focus on failure and those at the bottom of the social scale is pronounced, and very much in contrast to Bochco's later project, L.A. Law. 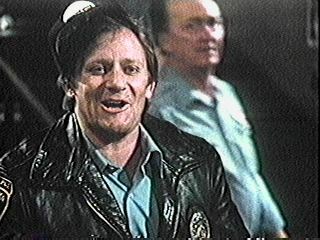 Inspired by police procedural detective novels such as Ed McBain's 1956 Cop Hater, it has been described as Barney Miller out of doors; the focus on the bitter realities of 1980s urban living was revolutionary for its time. 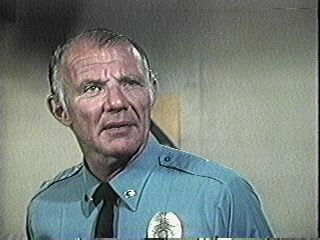 Later seasons are accused of becoming formulaic (a shift that some believe to have begun after the death from cancer of Michael Conrad midway through the fourth season, which led to the replacement of the beloved Sergeant Esterhaus by Sergeant Stan Jablonski, played by Robert Prosky); thus, the series that broke the established rules of television ultimately failed to break its own rules. Nonetheless it is a landmark piece of television programming, the influence of which was seen in such series as NYPD Blue and ER. In 1982, St. 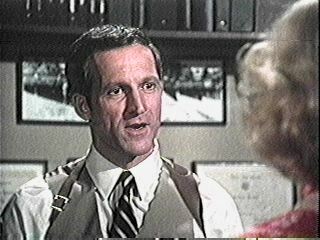 Elsewhere was hyped as Hill Street Blues in a hospital. The quality work done by MTM led to the appointment of Grant Tinker as NBC chairman in 1982. Season 1: The pilot aired on Thursday, January 15, 1981, at 10 pm, which would be the show's time slot for nearly its entire run. Episode 2 aired two nights later; the next week followed a similar pattern (episode 3 on Thursday, 4 on Saturday). NBC had ordered 13 episodes, and the season was supposed to end on May 25 with a minor cliffhanger (the resolution of Sgt. Esterhaus' wedding). Instead, building critical acclaim prompted NBC to order an additional four episodes to air during May sweeps. Bochco and Kozoll fashioned this into a new story arc, which aired as two two-hour episodes to close the season. One new addition with these final four episodes was Ofc. 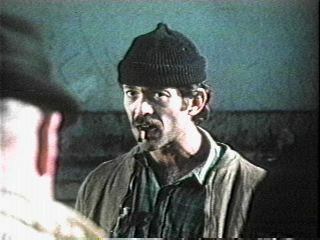 Joe Coffey (played by Ed Marinaro) who originally had died in the first season finale's broadcast. In early episodes, the opening theme had several clearly audible edits; this was replaced by a longer, unedited version partway through the second season. 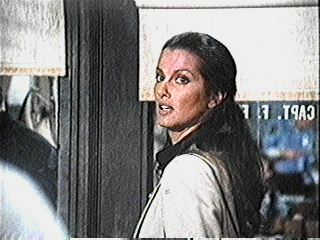 The end credits for the pilot differed from the rest of the series in that the background still shot of the station house was completely different; it was also copyrighted in 1980 instead of 1981. The show became the lowest-rated program ever renewed for a second season. However, it was only renewed for ten episodes. A full order was picked up part way through the season. Season 2: A writer strike pushed the start of the season forward to October 29, meaning that only nineteen episodes were completed that year. Kozoll was now listed as a consultant, signifying his diminished role in the show. He later stated he was already feeling burnt out, and in fact was relying more on car chases and action to fill the scripts. A less muted version of the closing theme was played over the end credits. Season 3: Kozoll left the show at the end of season 2, replaced for the most part by Anthony Yerkovich and David Milch. 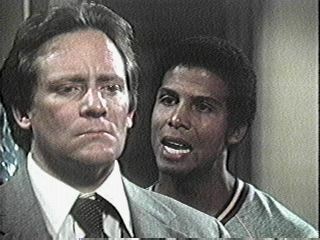 Yerkovich later created Miami Vice after leaving Hill Street Blues at the end of this season. This was the show's most popular in terms of viewership, as it finished #21. This was also the birth of Must See TV, as the show was joined by Cheers, Taxi and Fame. The network promoted Thursdays as "the best night of television on television." 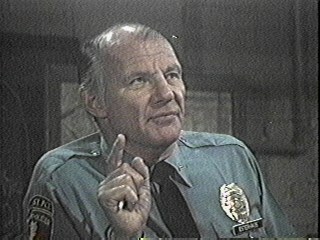 Michael Conrad was increasingly absent from the show due to his ongoing battle with cancer. Season 4: Following his death on November 22, 1983, Michael Conrad's final appearance was broadcast halfway through the season in February 1984 in a memorable send-off episode, "Grace Under Pressure". The show won its fourth and final Emmy for Outstanding Drama Series this season. Season 5: The show changed drastically this season, entering a somewhat "soap operatic" period according to Bochco. New characters included Sgt. Stanislaus Jablonski (played by Robert Prosky), Det. 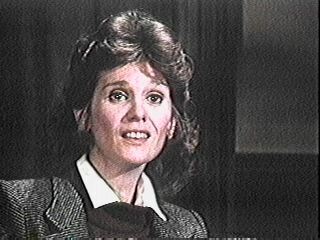 Patsy Mayo (Mimi Kuzyk), and Det. 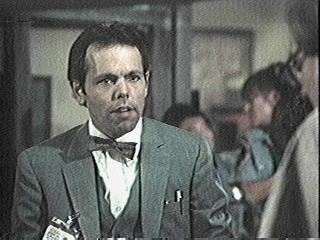 Harry Garibaldi (Ken Olin), while Mrs. Furillo (Bosson) became a full-time member of the squad room. Bochco was dismissed at season's end by then-MTM President Arthur Price. The firing was due to Bochco's cost overruns, coupled with the fact that the show had achieved the 100-episode milestone needed to successfully syndicate the program. 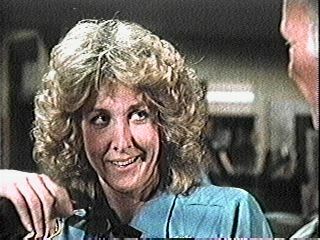 Betty Thomas won an Emmy for Outstanding Supporting Actress In a Drama Series this season. However, at the awards ceremony, an unidentified man rushed the stage ahead of Thomas and claimed she was unable to attend. He then claimed the award and left the stage, confusing viewers and robbing Thomas of her moment in the sun. Season 6: Major changes occurred as Joe Coffey, Patsy Mayo, Det. Harry Garibaldi, Lt. Ray Calletano (Rene Enriquez), Fay Furillo (Barbara Bosson) and Officer Leo Schnitz (Robert Hirschfeld) all left the show. The sole addition was Lt. Norman Buntz, played by Dennis Franz. In a 1991 interview on Later with Bob Costas, Ken Olin explained that these characters were removed so that the new showrunners could add characters for which they would receive royalties. 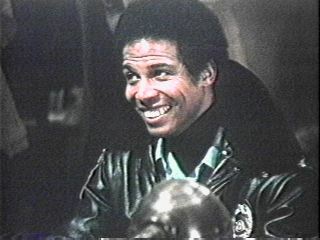 The season premiere opened with a roll call filled with officers never before seen on the show, briefly fooling viewers into thinking the entire cast had been replaced. It was then revealed that this was, in fact, the night shift. The action then cut to the day shift pursuing their after-work activities. Another unique episode from this season explained through flashbacks how Furillo and Ms. Davenport met and fell in love. This was the first season that Travanti and Hamel were not nominated for the Emmy for Outstanding Lead Actor/Actress in a Drama Series. Season 7: Officer Patrick Flaherty (played by Robert Clohessy) and Officer Tina Russo (Megan Gallagher) joined this season in an attempt to rekindle the Bates-Coffey relationship of years past. 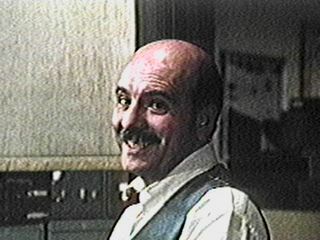 Stanislaus Jablonski became a secondary character part way through this season, and when Travanti announced he would not return the next year, the producers decided to end the show in 1987. The program was also moved to Tuesday nights after six years to make way for L.A. Law on Thursdays. This was the only season that Weitz was not nominated for the Emmy for Outstanding Supporting Actor in a Drama Series. This was also the only season for which the show was not nominated for Outstanding Drama Series. The producers went to great lengths to avoid specifying where the series took place, even going so far as to obscure whether the call letters of local TV stations began with "W" (the Federal Communications Commission designation for stations east of the Mississippi) or "K" (signifying a station west of the Mississippi). However, occasionally they would let something slip, such as the use of call letters WREQ, TV channel 6, in the season 3 episode "Domestic Beef". 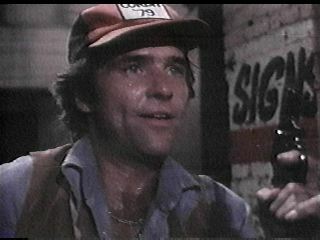 Another indication that the series took place in the Midwest or Northeast was Renko's statement to his partner in the season one episode "Politics As Usual": "Just drop that 'cowboy' stuff. I was born in New Jersey, [and] never been west of Chicago in my life." Specific references in other episodes to New York City, Boston, Philadelphia, Detroit, Cleveland, and Columbus, Ohio would exclude those locales, while the clearest indication where the program was set lies in brief and occasional glances at Interstate Highway signs, including one sign designating the junction of I-55 and I-90, which is in Chicago. Show writer Steven Bochco attended college at the Carnegie Institute of Technology (now Carnegie Mellon University) in Pittsburgh. 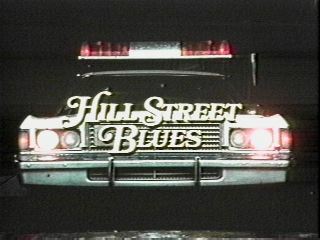 The run-down, shabby, drug-ridden impression of Pittsburgh's Hill District Bochco acquired was apparently part of the inspiration for the show. Street, neighborhood and police precinct names from Buffalo, New York, the hometown of Anthony Yerkovich and David Milch, are prevalent after the second season. A number of characters changed rank during the seven years of production. The pilot episode presented a simple command structure. 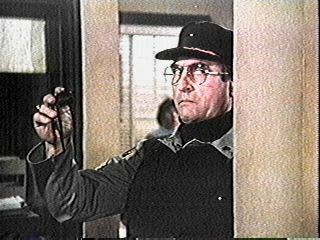 Captain Furillo had one Lieutenant (Ray Calletano), and three Sergeants, one in each of the three main areas of operations: Sgt Phil Esterhaus (uniform), Sgt Henry Goldblume (detective), Sgt Howard Hunter (EAT). There was a process of evolution into a more complex command structure (more reflective of general real-life practice). In this "evolved" structure Capt. Furillo has three Lieutenants: Calletano, plus Goldblume and Hunter, both promoted; Buntz replaced Calletano when the latter was promoted to Captain and left the precinct (though not the series). 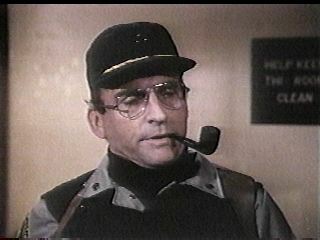 Emergency Action Team (EAT): Strangely, after Hunter's promotion to Lieutenant, no EAT Sergeant was ever depicted. Corporal Schmeltzer appeared to be Hunter's second-in-command, although the role of "right-hand man" was assumed jointly by EAT Officers Webster and Ballantine. Their roles were so interchangeable that in the credits of episode "Of Mouse and Man" Gary Miller (Ballantine) is credited as playing Webster. 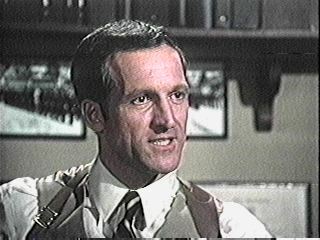 However, in the final year of programming it was Ballantine who assumed the more prominent storyline, having apparently gone insane and turned against Hunter.